Last summer I mourned the missed peaches, and then vowed not to miss them again in 2014. In my kitchen sits 20 lbs of peaches….I’m making up for last year. On my peach to-do-list: Peach preserves, peach and berry crumbles, frozen peaches for smoothies, and I’m dreaming of canning half peaches like my grandma always did. Added bonus of smelling the house of peaches:: Ella decided she wanted to help out. 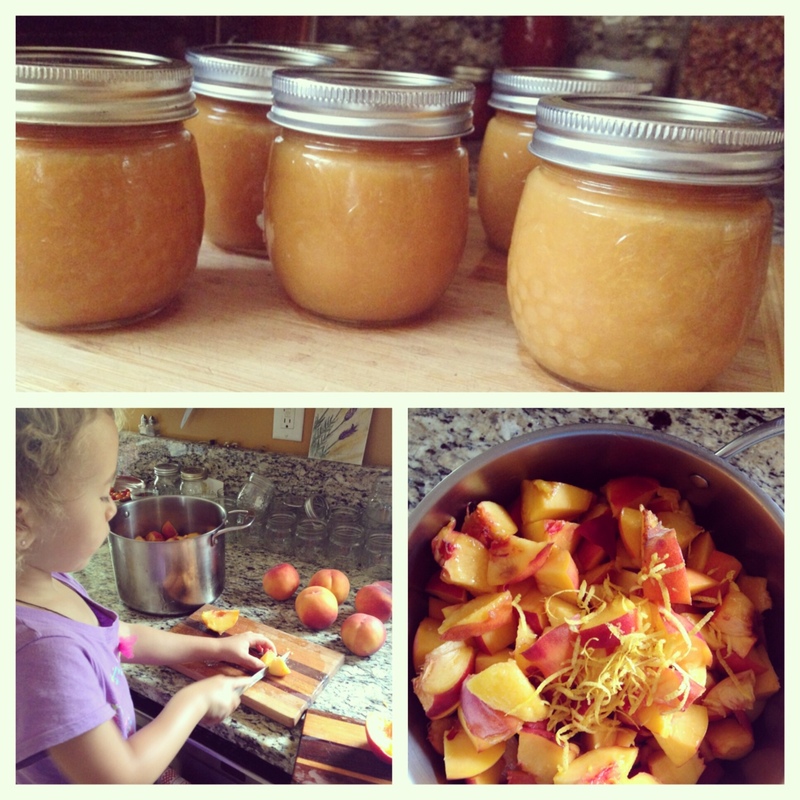 I originally longed for a bit of solitude to prep the peaches, however I was happy to share something with her that I shared long ago with Grandma; processing healthy foods, to be enjoyed with family and friends for months to come. Again, experience and connection..
I’m one of those parents who allows their two year old to use a real knife..and crack eggs…and stir food in a hot pan. I say nourish their curiosity with trust and a safe environment, and you’ll be amazed at how helpful they can be by the age of four, which is how old Ella is. I’d say she cut my peach prep time in half by helping chop the peaches. Summer 2014, life is peachy. Stay tuned for more peach-inspired fun.